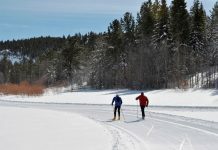 Cross-country skiers can follow the Olympic Heritage Trail, which is groomed every Monday and Friday, as conditions allow, as part of the trail system at Ed Z’berg Sugar Pine Point State Park, the site of the Nordic events for the 1960 Winter Olympics. Start at the Blue Trailhead, located at the day-use parking on the campground (west) side of the highway. A series of interpretive panels that share Olympic and Nordic skiing history will guide the way. Free snow trail maps are available at the park entrance stations. 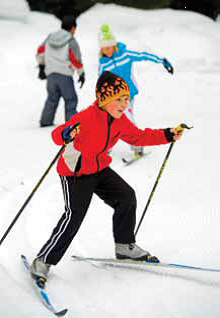 The park offers more than 20K of marked cross-country ski trails and a heated restroom in the General Creek campground. 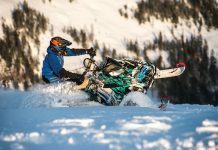 Dogs are not allowed on snow trails or any other undeveloped areas in the park.